Chieftain ranges provide the highest standard of performance for the most demanding and busiest of kitchens. 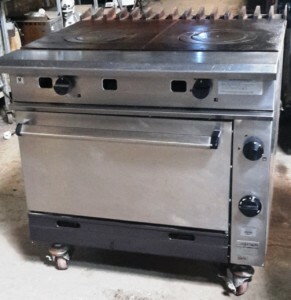 Ideal for larger kitchens in hospitals, hotels, prisons and production areas. 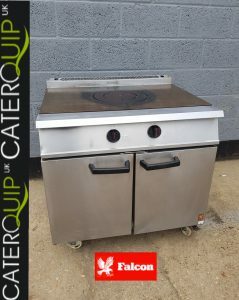 The cooking surface can reach 520 degrees celcius allowing a variety of simultaneous cooking operations because heat rediates outwards due to the ‘zonal heat facility’. 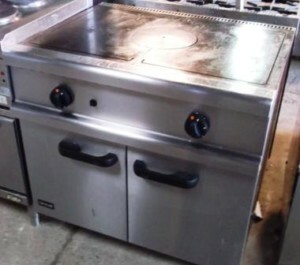 With 2 bulls eye burners, this is ideal for rapid reduction and wok cooking. 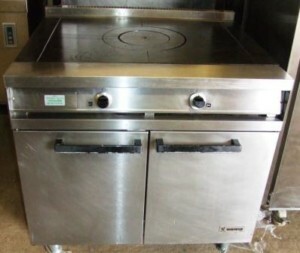 This range also has a 15cm front ledge to pull pans on to cool. 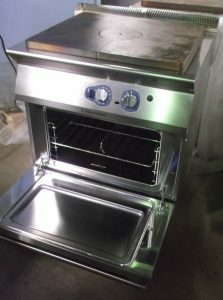 The easy to clean oven is complete with 2 x 66cm x 33cm shelves. Everything about this range is heavy duty. 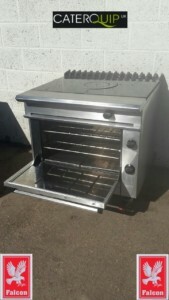 This is a classic Dominator single bulls eye gas sold top range with oven and is a credit to its first owner.